The Bumper Force has been designed with your adventurous young boy in mind. If the little one is action packed then they are sure to love the Force. Underneath it's exciting decals lies the durable high tensile steel frame, paired with the rigid steel fork to keep your child safe and in control. The force is kitted with rubber coated grips and non-slip pedals for extra control, as well as V type brakes for excellent stopping distances in wet and muddy conditions. 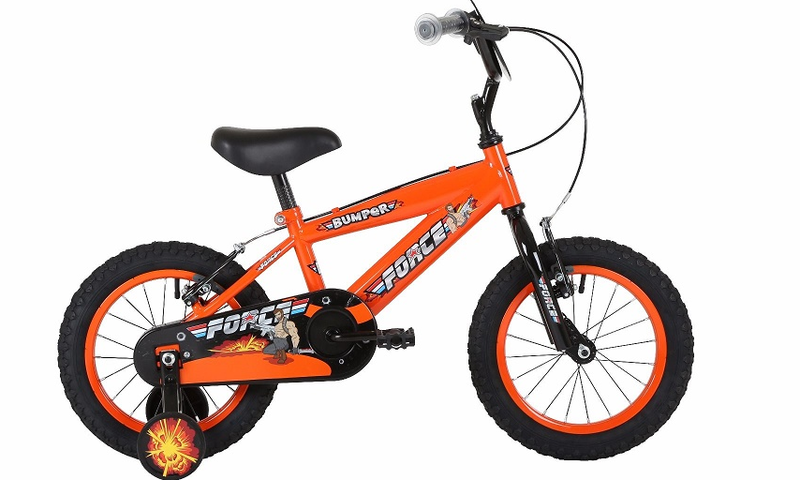 If your boy is ready to showcase his explosive talent, then the Force is the perfect bike.